This summer the Dutch/British owned oil company Shell will start drilling for oil in the Arctic. They can do this because the sea ice has melted enough to expose the oil rich sea floors of the high north. This oil will be burned, resulting in more carbon dioxide in the atmosphere and an even stronger greenhouse effect… Besides, we’ve seen in the Gulf of Mexico what can happen when something goes wrong while drilling for oil. And with the cold temperatures oil degradation takes much longer as in the warmer Gulf of Mexico. Since I came to the high Arctic for the first time in 1999 I’ve seen islands emerge from glaciers, I’ve reached places that used to be locked in ice every summer and I’ve seen Polar Bears change their behavior because of the changing ice conditions. When I made my first visit I expected to visit a true unspoiled wilderness area. At first glance this is really true. There are only few signs of human disturbance noticeable at first sight. But under the surface there are many influences. Climate change, oil drilling, commercial fisheries, pollution drifting north with sea or air currents from more southern latitudes, all influences threatening the Arctic. Greenpeace has started the action “Save the Arctic” with which they want to ask politicians to create a sanctuary in the Arctic, protecting it from at least some of these human influences. Wouldn’t it be great, a global sanctuary of pure nature in the North? Hey, Fey. Thank you for reblogging Mr. Drost’s thought provoking post. 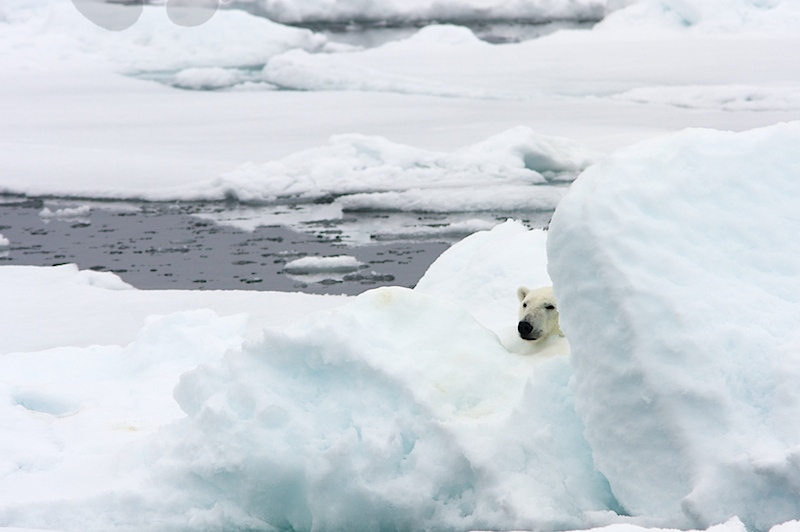 You know how I feel about our environment and especially the Arctic. I support Mr. Drost’s position, but at the same time, I realize that I am part of the problem and will continue to be until governments completely ban the use of hydrocarbons. I use a shameful amount of fuel every time I fly home for the summer and back to work in the fall. I depend on aviation fuel to get food to my village, we burn fuel oil to warm our school and burn spruce to keep from freezing to death. And I’m sure Mr. Drost did not paddle to and fro for each of his Arctic trips. It’s really a very complex issue. I expect Mr. Drost and you and I all share the same dream of a world free of hydrocarbons and yet we go on consuming them because at present we haven’t the means to rid them from our lives. Every single thing we buy required energy to produce it, so we are guilty of pollution and global warming with every penny we spend. And here is the kicker. There aren’t enough pollution free forms of energy to supply the world’s consumption of them. At least, I don’t think there are. So what are we going to replace the hydrocarbons with? You know I’m not defending the use of the hydrocarbons. I’m just asking for a solution. Here is something I wish you would do on your blog – ask your readers to share ways they are actively trying to reduce their dependency on energy and especially on hydrocarbons. I’d love to see their responses, and maybe they would be instructive for all of us until the world solves the energy problem. Mr. Drost, the above comment is mine. I have never responded to a reblog before, and thought I was responding to Fey, on whose blog I saw your post. Forgive me for the confusion. I do agree with your position, by the way. I live in the Arctic, and can second your warnings that the Arctic ice is disappearing at an alarming rate. This is causing changes to our ecosystem that will eventually threaten the way of life for all who live above the Circle. My wife and I have lived for two years in the Arctic without a car. We walk the half mile to school and back, even when it is 50 below and I’m proud to be doing something to reduce my footprint. I look forward to exploring your blog, which of course will consume more energy. Yeah, but if it doesn’t bring in money to their re-election campaigns, they probably aren’t interested in doing anything.